BAKERSFIELD, Ca. 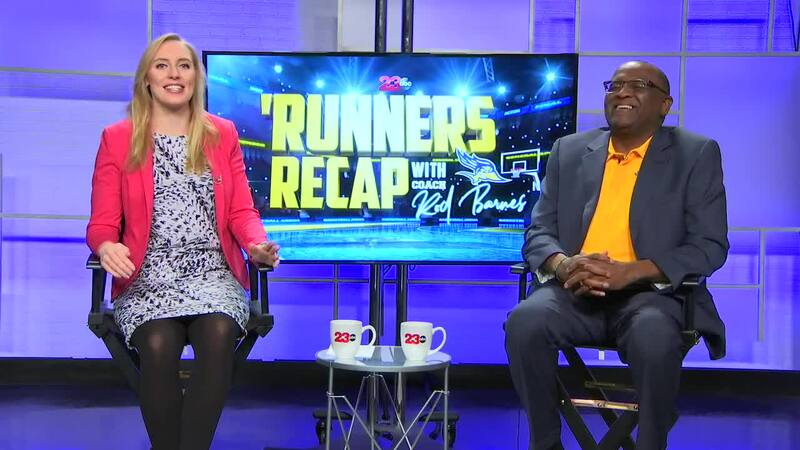 — Episode 17 of the 'Runners Recap with Rod Barnes. A weekly segment on 23ABC where Kari Osep sits down with head coach Rod Barnes of the CSUB men's basketball program. The 'Runners recap a split week of a big win at home and their first home loss of the season to Grand Canyon University. They discuss moving forward to face two more of the top teams in the conference, New Mexico State and UTRGV, a team they'd lost to on the road and one they claimed a road victory on, respectively. Barnes also discusses what it takes to bounce back from losses.